As we’ve seen with other technologies in recent years, data capture is undergoing a major revolution. 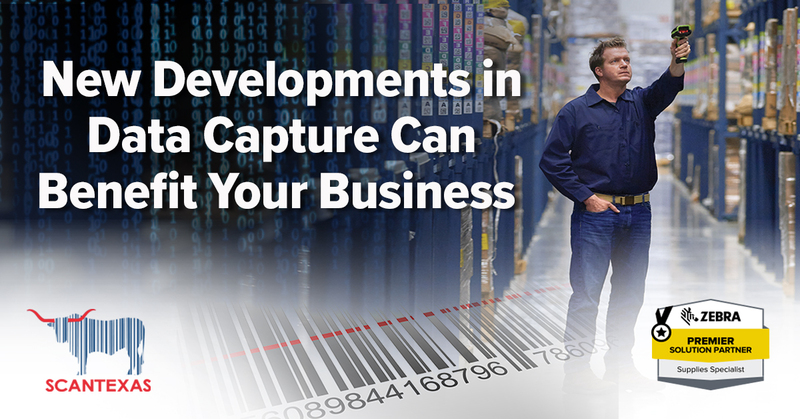 There were once limits on how much data we could store in a barcode and how we could access it, but new barcoding and scanning technologies allow businesses to store and capture more data faster and more efficiently than ever before. These changes have come in response to dramatic shifts in data capture needs and demands, such as product and material traceability in manufacturing, medication and patient identification in healthcare, and the use of digital coupons and QR codes in retail. Additional requirements have been driving significant changes as well, such as the need to meet growing productivity demands and use data capture to get more done in fewer steps. Due to these evolving demands, new imaging technology is now the driving force in the data capture revolution. New scanning and data capture devices, such as Zebra’s next-generation barcode scanners, have transformed scanning from a one-dimensional, laser-based, and less efficient process, into an omni-directional and strategic process for capturing far more data with less effort. At the heart of this transformation is the change from one-dimensional laser scanning to two-dimensional imaging. With 2D imaging, barcodes can store information both horizontally and vertically, such as a QR code, which has a much higher data capacity and stores data more efficiently. Imagers are now used to capture everything from 1D and 2D barcodes to GS1-compliant labels, high-density barcodes, Digi-Marc labels, and part marks. With Zebra’s latest scanners, you can also get support for optical character recognition (OCR), so you can capture much more than barcodes. You can capture images, signatures, document fields, and more, and you can automatically parse data and populate forms. With OCR, you can eliminate manual data entry, re-entry, and paperwork from key processes, and you can capture and populate all required data automatically. Imagers also capture an omni-directional image, so you scan at any angle—no need to line a laser up with the barcode. This simplifies and speeds up scanning processes, making them virtually fool-proof for first-time, every-time data capture. Another benefit is that imagers support scanning of mobile coupons and barcodes that appear on smartphone, tablet, and computer screens. This is particularly important in retail or even at the local movie theater, where consumers may be presenting coupons, tickets, or other barcodes on their devices. Additionally, Zebra’s new imaging technology advancements enable the capture of multiple barcodes with a single trigger pull—up to 20 barcodes can be captured when you use the scanner as a “wand.” This is a major breakthrough in efficiency for busy warehouses and in workflows where products, parts, shipments, or other assets may be marked with multiple barcodes. As barcode data capacities and scanning efficiencies have increased, so has scanning range. Zebra has now introduced several new models with extended scanning ranges, including some that can scan barcodes from as far as 70 feet away, all while still providing great up-close barcode capture from as close as just over one inch. In addition to unprecedented range, newer scanning technologies are also able to capture barcodes under increasingly less desirable conditions. For example, if a barcode is dirty, smudged, damaged, poorly printed, or under shrink-wrap, Zebra’s advanced scanning technology still captures it the first time, every time. You can check out our top recommended Zebra 2D barcode imagers on our website, or feel free to contact ScanTexas with any questions and to request more information to help you match specific models with your scanning needs.